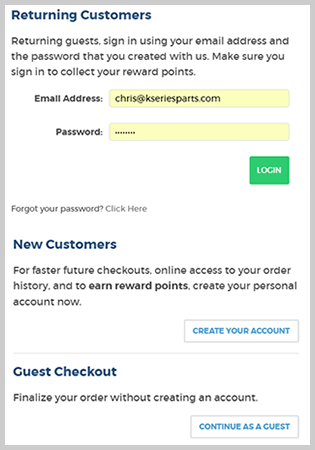 It pays to shop with K Series Parts and our reward points program! For every $1.00 you spend you earn reward points. You can use the points on any order, there is no order total limitation. It is very simple, to collect the points you need to be logged into your account when you are making a purchase. Setting up an account is free, fast, and easy and you can do it during the checkout process. You can apply the reward points on the shipping and payment selection screen during check out. 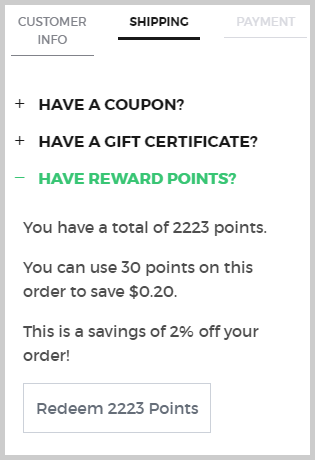 Click on Have Reward Points? 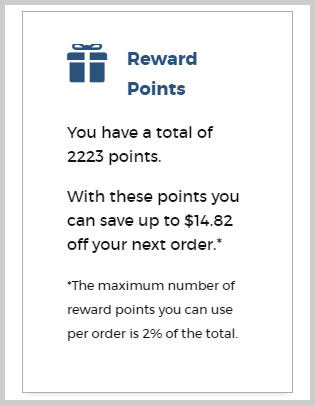 and it will drop down with how many points you have an how much you can save on the order. If you don't have this option then you need to log into your account. Click on and your balance and total value will be located in the Reward Points box.